Many HubSpot marketing automation customers are migrating to HubSpot's new COS blog. Whether you are moving from an older HubSpot blog platform or completely new to the blog functionality in HubSpot's COS, pay attention to the below items to make the most of your blogging experience! By far, the biggest mistake we see clients new to inbound marketing make is not including relevant call to action (CTA) buttons in their blog! We recommend at least a bottom of the funnel (these users are ready to buy) and top of the funnel (these users are just doing research) offer for the sidebar and another CTA below the expanded post. Here are some instructions for creating a CTA in HubSpot and creating a CTA with a custom image. Consider smart CTA’s – CTA’s that change based on a contact’s past conversions, their lifecycle stage or any number of starting conditions. 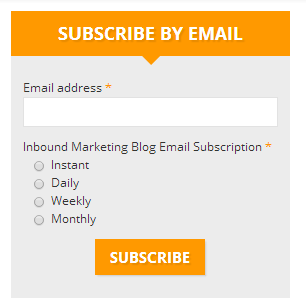 Did you know the HubSpot COS lets you distribute blogs instantly, daily, weekly and monthly to subscribers? You can also customize the emails being sent to blog subscribers. Be sure to customize the blog subscription module based on what makes sense for your users and style the emails provided in the COS. Consider a subscribe landing page that you can link to from various site pages. Make sure you’ve considered who will keep an eye out for blog comments and reply when necessary. You want to make sure you've configured your blog's comment options so you can engage with blog commenters who have questions, praise or critiques. We close comments or require Captcha after 30 days to reduce the likelihood of spam comments. If you aren’t allowing social sharing and publishing relevant posts to social media, you’re wasting your time with blogging. The HubSpot COS has tools to offer social sharing, monitor, publish and manage your social media accounts. Consider a service like dlvr.it to distribute your blog posts through employee accounts for even more exposure. The author section at the bottom of the post is a great way for your readers to connect with you. Keep descriptions short and friendly. This is a great way to brand your staff as thought leaders as well. Instructions: Go to “Blog” then “Manage Authors” in your portal. For each author, click the gears icon and select “Edit Full Profile”. Style the section with CSS on your blog template. 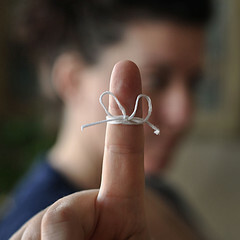 Have you heard of Google Authorship? You can associate articles with authors linked in Google. This is a great tool if you want to add a personal appeal to your content. Click through to see the rich snippet that displays for articles set up with Google Authorship. We all know how important content is. What's actually more critical, is the distribution of that content. Setting up your HubSpot COS blog with the above tips in mind will help you become a digital dandelion and spread your content far and wide.